We offer thoughtful menus filled with dishes that are always fresh and well prepared and our gracious and attentive staff will take care of even the smallest details. Whether you’re planning an intimate gathering for a family reception, an annual charity black-tie gala or a large, glittering holiday affair to celebrate with your corporate staff, Portland Catering Company will make your event a truly special occasion. We will work with you to set the right tone, select the perfect menu and create an atmosphere that will make you and your guests feel pampered and completely at ease. From planning to perfect ending, let us help you every step of the way. Thank you so much for catering our event. Everyone commented on how delicious the food was and many went back for seconds! Top Rated Local® is pleased to announce that Portland Catering Company is a 2018 Top Rated Local award winner, thanks to their 97.88 Rating Score™ and 4.79-star average rating on verified review sites! Your event is as important to us as it is to you, so our focus is on quality and service. You won’t find a better caterer in Portland. At Portland Catering Company, our goal is to make your wedding as memorable as possible. From the moment you contact us, we’ll help organize and plan your wedding cuisine so everything goes exactly as you desire. We offer an extensive array of pre-selected menu options, but welcome any customized menu items you would like. We’ll work with you to create a delicious menu with whatever entrees, side dishes and desserts you wish. Your wedding will be one of the most exciting days of your life and we commit to providing you with delectable food for you and your guests to enjoy. Corporate events are a great way to build your business, encourage teamwork or entertain prospective clients. 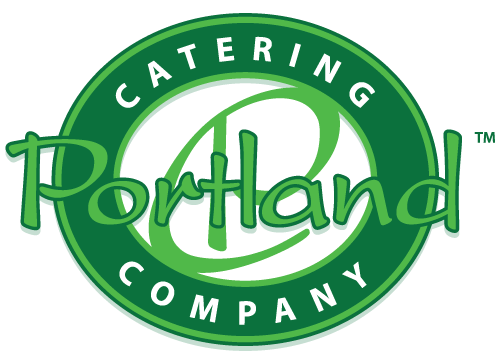 At Portland Catering Company, we’ll help make sure your event has the best tasting food in town. We have an extensive selection of delicious menus to choose from. No matter what time of day your event takes place, we have menu options for you. From breakfast to dinner and desserts, we’re ready to help your organization’s event make a great impact on your attendees. Portland Catering Company is happy to provide full bar service for your next event. Whether it’s a wedding, birthday or corporate event, our bartenders are ready to keep the drinks flowing. We provide professionally trained and certified bar staff, with years of experience. We will be the perfect complement to your party or gathering and your guests are sure to be satisfied with our excellent bar services.